The NFL hit the pause button on its new policy regarding player conduct for the National Anthem. The decision to put a hold on the new policy followed news about the planned disciplinary steps by the Miami Dolphins for player protests during the National Anthem. With the Miami Dolphins facing backlash after submitting required paperwork to the NFL that included potential disciplinary measures for player protests during the national anthem, the league has decided to hit pause on its new policy, sources told ESPN. Now the league and the player’s union will try to work out a policy through negotiation. 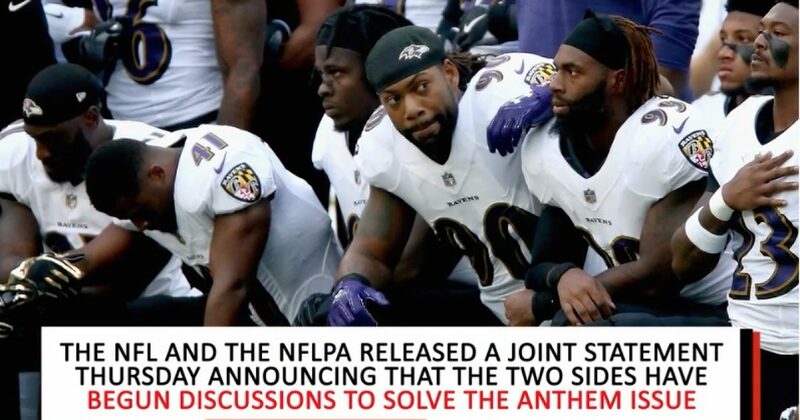 The player’s union, the NFLPA, had previously filed a grievance on the most recent National Anthem policy issued by the league. Sports Illustrated also reported on the pause regarding the National Anthem policy. The recommendation by President Trump is sound. The NFL is a business and it is their right to establish conduct policies for players.